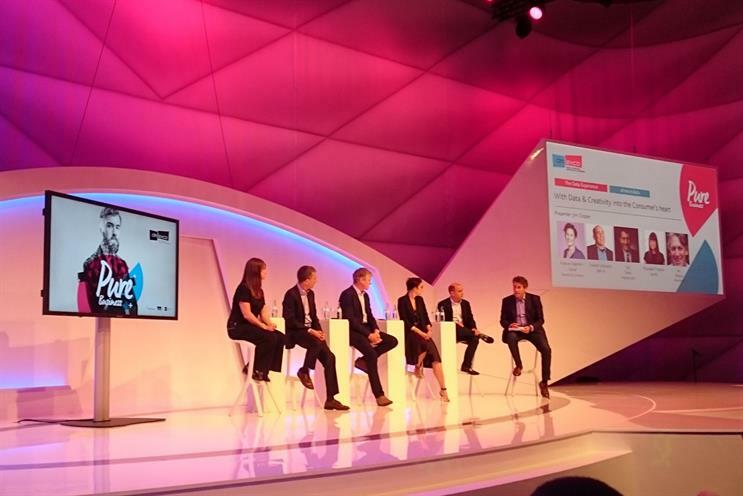 In a panel session on data and creativity at Dmexco, Maureen Traynor, global director of creative solutions at Spotify, outlined how the music platform was using the one billion data points it gathered every day to build a deep understanding of its users. "It's the kind of data that spans include not just the genre of music or time of day, but the mood they’re in," Traynor said. "All that comes together to form something we call streaming intelligence – we try to use that to inform everything we do when it comes to creative on Spotify." Traynor shared the example of a campaign for the Audi Q2 that played on the fact that the model does not fit into the standard size categorisation by comparing it to the individuality of each Spotify listener and their music preferences. Each listener was given a personal hashtag and a visualisation of their listening habits. Ian Wilson, senior director global, digital and marketing development at Heineken, discussed a unit set up by the brewer’s Mexican business, the digital engagement centre, which brings together social listening, creatives and media buyers and is able to create and place digital content within a day. He added that Heineken worked "very well with Facebook – what they’ve got right is helping clients like us understand the new world and the transition." The big challenge for the company, he added, was that it was very focused on creativity, "but it’s generally epic 60-second to 90-second cinemagraphic. "On the news feed you want to be six-second, snackable video. One of the big barriers is creative agencies are not geared up to do that – the whole creative narrative is building a story, a screenplay. And Facebook have been working with us to drive that very much." Robert Schwartz, global leader of agency services at IBM iX, said that it was important for marketers to avoid a false binary between data and creativity. "I don’t look at it as, there’s data over here and creativity over there," he said. "There is data everywhere and creativity everywhere and it’s how you build those things to create the best set of experiences that makes the difference." Businesses needed to be able to "deploy creativity everywhere", he said, not just in the area of marketing communications. He added: "You can’t stand on Mount Olympus and shout at people to get people to believe in what your brand is, you’ve got to build experiences with them."